Paint Touches and others note low ratings for Fox Sports Big East telecasts last year. 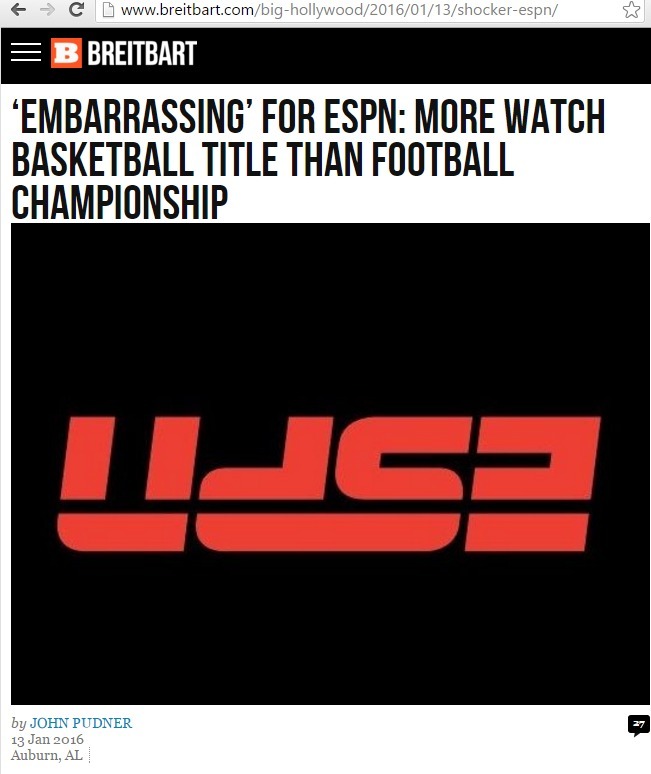 However, I point out in this piece that with at least $6 billion a year committed to various leagues long-term, ESPN cannot afford to have their football championship draw less than the NCAA title game, or the Rose Bowl draw millions of viewers less than the average March Madness game telecast. Maybe it wasn't all about football, and the Big East ended up in the best spot possible after all. CBS Sports’ basketball title game between Wisconsin and Duke peaked at 33.4 million, and averaged 28.3. The NCAA boasted that the average viewership of the 65 games over three weeks on CBS, TNT, TBS and TruTV drew 11.3 million—more than three million more than ESPN’s one-and-only Rose Bowl.